But I do love America. In fact, the more I travel, the more I appreciate the little luxuries we enjoy here at home, like a quick trip to the grocery store in pajamas–no big deal–or being able to have a pleasant sit-down meal of bacon, eggs, hashbrowns and coffee, any time of the day or night. You can’t have that just anywhere! That’s something really special. What about apple pie? Haven’t you read On the Road? Didn’t you crave apple pie afterwards? Didn’t you love America? And fireworks, guys! FIREWORKS! In Utah, we have the 4th of July, sure, but then we have Pioneer Day–July 24th–which means more fireworks, and parades, and barbecues, and this is the West, guys, so we have mountains, and camping, and hiking, and wide streets. Also: delicious micro-breweries. So American. Chocolate-chip cookies. 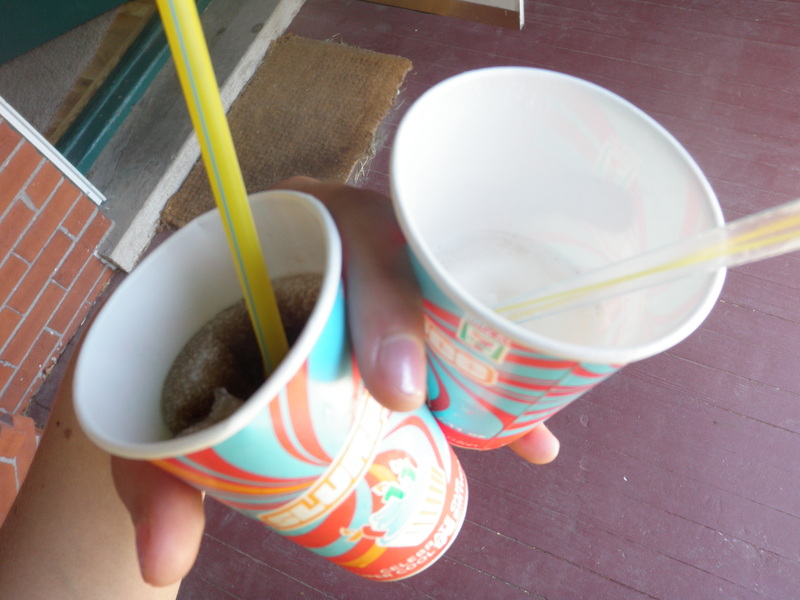 Rootbeer floats. And I love that I can go out in public, fresh from the gym, sweaty hair plastered to my forehead, and get a free Slurpee. Because it is July 11th. Because nobody cares if I am wearing running shorts. 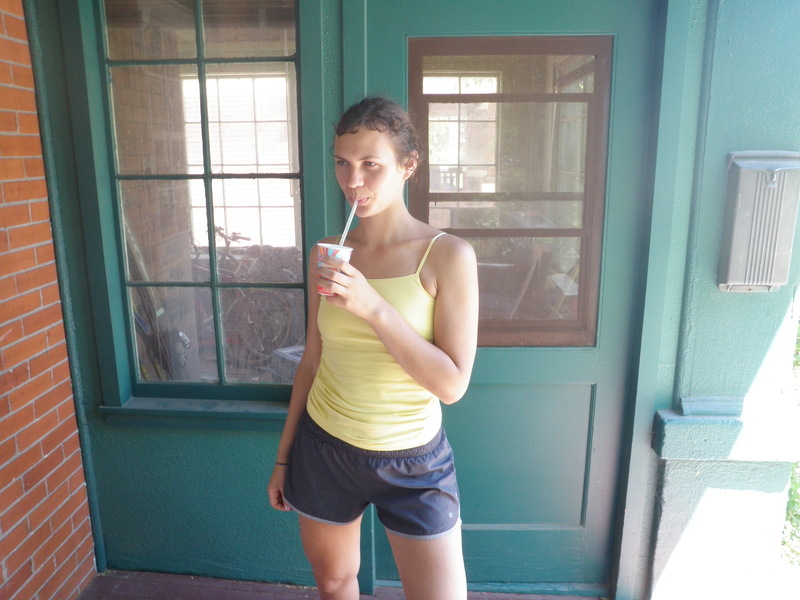 Because it is perfectly acceptable to treat my self to sugar slush after a work-out. Because this is America, damnit. And I like it. It is funny you said that traveling makes you appreciate home more. I have noticed that the longer I live abroad the more I like the US. Our country has loads of problems, and in many ways Italy comes out on top (like family values and free healthcare) but everything in the US is easier. The beauracracy isn’t impossibly difficult to navigate, and if you really want to make money you can. While here, hard work just doesn’t pay off at all.